In 2017, Son Oh Gong and Ma Wang are in conflict with each other as they look for a true light in a dark world where evil thrives. Having made a contract with Seon Mi 25 years ago, entitling her to seek help from Son Oh Gong whenever she calls him in exchange for letting him free, the two meet again in a fateful encounter. From there, Son Oh Gong is bound to his protective role towards Seon Mi, the little girl he had met years ago. ~~ Adapted from the classic Chinese novel “Journey to the West,” but reinterprets the story into the present day and has a romantic-fantasy twist. 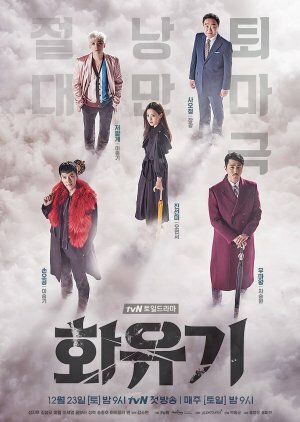 I think it's fair to say that this drama was good overall: the story is intriguing, well written for the first 10 episodes and it made me curious. If I can say something bad about it, I'd have gone for a shorter version. 20 episodes are too many, since part of the story (expecially from episode 14) was just fillers. I'd rather watch 10 very good episodes than 20 just for the sake of carrying it on. The ending it's not that bad, but it's way too predictable: if you're not into open endings, just forget about this drama. 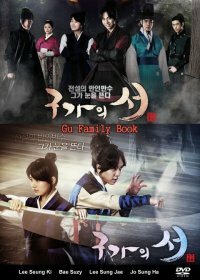 - Lee Seung Gi is just gold in this series, I cannot think of anybody else for the role of Son Oh Gong. Same goes for Cha Seung Won (Ma Wang) and Sung Hyuk (General Frost). - Soundtrack is Bomb: "Let me out" is a hit, was stucked in my head for weeks, as well as "If You Were Me" and "When I Saw You". - I loved the fact that supernatural elements, history and human nature are intertwined in the love story: it makes it really special. 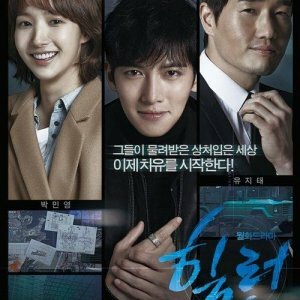 - I don't particularly like Oh Yeon Seo, but i loved the first 5 episodes because of the tension between the two leads. - Lee El (Secretary Ma) is one of the most underrated character, imho, but I loved her a lot. I don't think I'd rewatch this, cause it's too painful now (i didn't enjoy the ending) and also because of the dragged out part (13-17), but It was definitely worth my time. 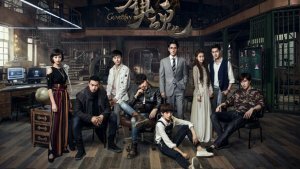 Hwayugi, a much-anticipated offering from The Hong Sisters, is an ambitious attempt at a prestige fantasy series with middling results. What begins as an intriguing—if fraught, production-wise—modern spin on the classic Journey to the West, ends as a jumbled mess with an identity crisis. When a story lacks direction, it’s sure to suffer. 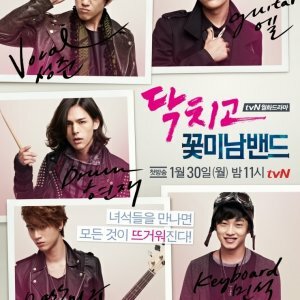 What did this drama want to be? 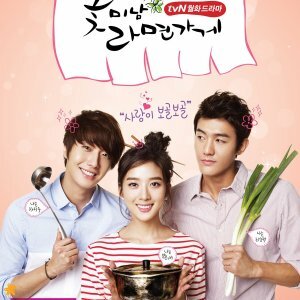 An idol drama with tons of romance? A monster-of-the-week romp, or an urban fantasy with cataclysmic consequences? The tone is erratic, especially in the beginning, whiplashing viewers between horror and comedy without prelude. In addition to the copious filler, the plot was pulled in so many directions that very little progress was actually made. Not even the romance between the leads received the attention it required to blossom satisfyingly—it just happens, for no rhyme or reason, and we’re expected to invest in it immediately. Overall, the story promises apocalyptic stakes yet delivers something haphazard and episodic, peppered with hollow romantic scenes (the exemplar of which is an early out-of-character, cat-themed aegyo from the female protagonist). One of the main issues can be found in the massive cast, populated by multiple big names and actors of varying talent and skill. 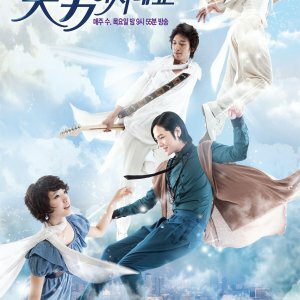 Despite a valiant effort by Lee Seung Gi as Son Oh Gong, the secondary cast steals the show. 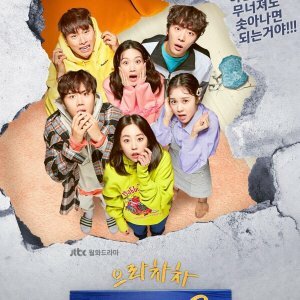 Lee Hong Ki (PK) and Lee Se Young (Bu Ja) are a delight in spite of frustrating plot developments, easily drawing focus away from the main storyline. The same goes for Lee El as the dog-demon assistant Ma Ji Yeong, Kim Sung Oh as hapless secretary Lee Han Joo, and Sang Hyuk as General Frost and his warm-hearted sister, with whom he shares a body. Cha Seung Won, however, is completely wasted in his role as Ma Wang, the demon king. The character gives him no room to stretch his dramatic legs, instead relying on the zany comedy he so excels at—but this gets old fast, and it’s frustrating to see him spin his wheels with such a flat character. This leads us to the weakest of the bunch—Oh Yeon Seo’s performance as Jin Sun Mi is uninspired, and I couldn’t tell you if her expression changed even once. Her scenes with Lee Seung Gi are sometimes almost uncomfortable to watch, given how dynamic he is in comparison. That said, the OST is consistently good. Standouts include the absolute bop “Let Me Out” by NU’EST, the tender ballad “When I Saw You” by Bumkey, and the cheerful “I Will Be By Your Side” by MeloMance.